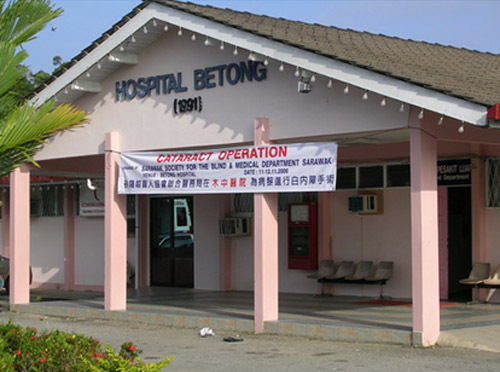 A cataract campaign was conducted in Betong Hospital between 11.11. 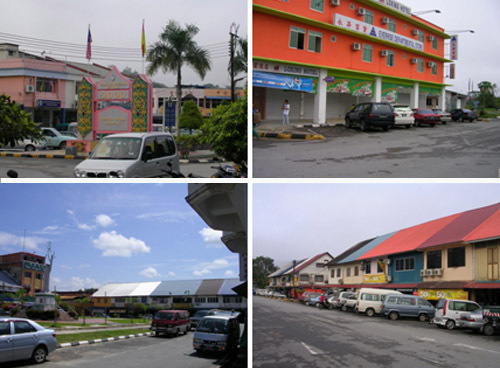 2006 to 12.11.2006. 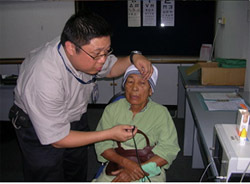 This campaign was co-organized by the Sarawak Society of the Blind and the Medical Department. 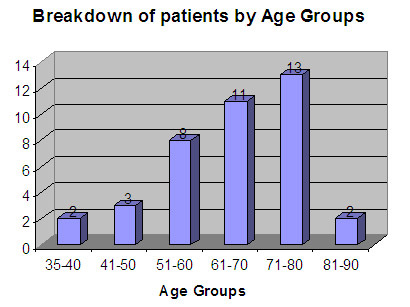 This was the fourth campaign conducted this year. Incidentally, this is the 50th cataract campaign since its inception at Kapit Hospital on the 27.04.1990 with a total of 1,394 persons being operated on thus far. 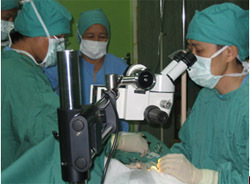 This time the surgeries were conducted by two ophthalmologists, namely Dr. Chieng Lee Ling, from the Ophthalmology Department, Sarawak General Hospital and Dr. Mahadhir Alhady Sulaiman, from the Ophthalmology Department, Faculty of Medicine & Health Sciences, UNIMAS. 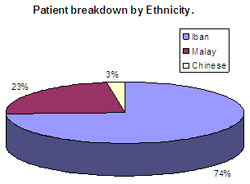 They were supported by a very competent team comprising of staff from the Ophthalmology Department, Sarawak General Hospital and Betong Hospital. 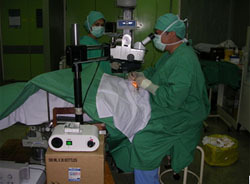 Dr. Mahadhir Alhady examining a patient. 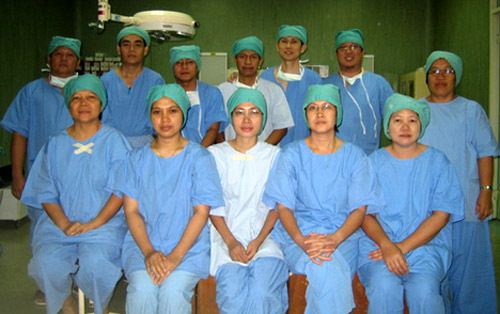 Members of the team from the Sarawak General Hospital (SGH). 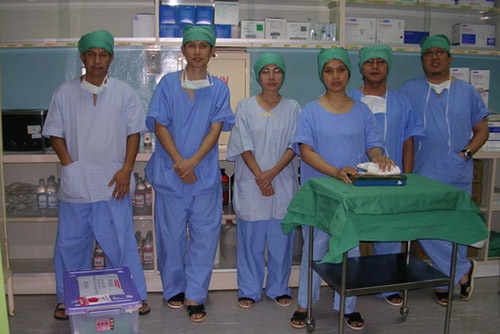 Dr. Mahadhir (first on the right) and Dr. Chieng (Second from the left) with nursing staff. The whole team involved in the campaign. 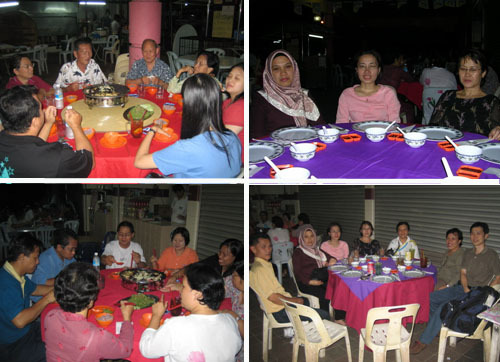 The surgeons, support staff and representative from Sarawak Society for the Blind having dinner.